For most of us, the holiday season is filled with get-togethers, laughter, good food, and even better companionship. However, for many seniors, it’s a time of extreme loneliness and severe depression. This is especially true for seniors who have recently lost a spouse or a good friend. The holiday season, especially Christmas and Hanukkah, can be particularly challenging for seniors. We know that you can’t always visit as often as you’d like, but we do encourage phone calls and other forms of communication. 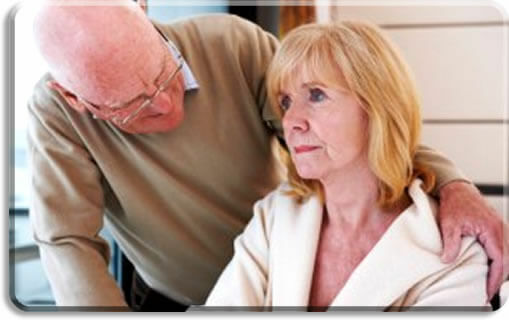 When you can’t be there physically, OptimumCare Home Care Services can. Our caregivers are trained, experienced, and compassionate. 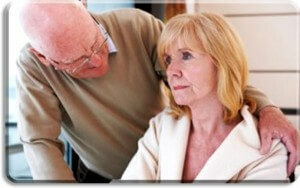 We provide services that range from companionship care to transportation and more. Your loved one does not have to be homebound, especially over the holidays. If you can’t visit as often as you’d like, ask us or a friend or neighbor to pop over to mom or dad’s for a visit. Be aware of certain signs that can indicate depression. Remember that for seniors, the holiday season can bring up memories of friends that have moved away or passed away. Snow and ice limit mobility that inhibits their ability to join in on family get-togethers and community events. Fear of falling during snowy and icy winter months also keeps many seniors locked indoors over the winter months. OptimumCare Home Care can help reduce the chances that your loved one will experience loneliness, isolation and depression during the holidays. Our services are catered for short-term as well as longer-term visits. Our services also provide transportation so that your loved one can get out to enjoy holiday events such as Christmas tree lighting ceremonies, plays, festivals, or simply enjoying the holiday decorations in your community. Just because you can’t be there over the holiday season doesn’t mean that your loved one will be neglected or isolated. Holidays can be stressful, no doubt about it, but one of the best thing you can do for your aging parent or senior loved one is to ensure that your loved one gets the attention they deserve. Make them feel special and do what you can to involve them in holiday activities and events.